I think most people in the Bigfoot community were happy to hear that Survivorman Les Stroud would be joining in on the hunt for Sasquatch. Les is a rare breed, who is one with nature when he's out in the bush. If anyone can find Bigfoot, Les is the guy. Anyhow, his deciding to team up with Todd Standing was a disappointment to many Bigfooters. There were those who thought that despite Todd being suspected of hoaxing, that he still might have the goods. His video of the "Blinking Bigfoot" was hardly convincing by itself and got ripped apart by many researchers, while some thought it was a real Bigfoot. Why Les chose Todd—your guess is as good as mine. I think the show needed some immediate substance, and Todd had actual clear footage of alleged Sasquatches. 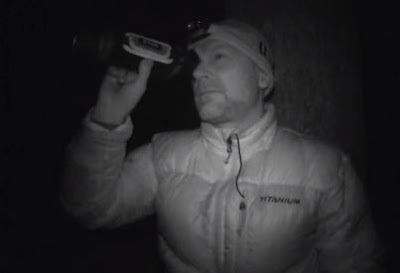 Here is a short video of some of the Survivorman: Bigfoot highlights. Will Les do another season? Since Todd Standing fell off the face of the earth, I'm pretty sure Les will pick some other Bigfooters to hit the trail with if he does decide to do more Bigfoot episodes.